Security clearance jobs in Washington, DC are found throughout the city with concentrations of cleared jobs at government agencies such as the Department of Homeland Security, the Federal Bureau of Investigation and the Internal Revenue Service, among others. 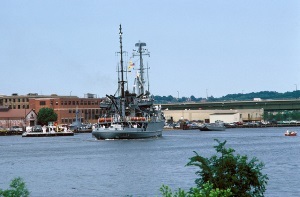 The Washington Navy Yard area and Joint Base Anacostia Bolling, home of the Defense Information Agency, are also employment hubs for defense contractors seeking professionals with security clearances. While some intelligence-related security cleared jobs are found in the District of Columbia, many of these positions are found in the Maryland and Virginia suburbs surrounding Washington, DC. ClearedJobs.Net produces Cleared Job Fairs in the metro DC area, featuring cleared facilities employers seeking to fill jobs requiring security clearances. The job fairs are a great opportunity for cleared job seekers to meet face-to-face with cleared facilities employers as well as to network with other cleared job seekers. Cleared Job Fairs also frequently offer seminars on Security Clearance Reinvestigations from leading security clearance attorneys in the Washington, DC area. If you have questions or concerns about your security clearance reinvestigation, foreign contacts, financial issues or other potential challenges, these seminars are a good way to get some immediate topline feedback from an experienced professional. Quick Resume Reviews by Human Resource professionals are also offered at each job fair. If you have a question about your resume or other issue with your job search, be sure to schedule some time to take advantage of this opportunity. ClearedJobs.Net also produces Cyber Job Fairs in association with cybersecurity conferences such as CyberMaryland, CyberTexas and the Cybersecurity Technology and Training Forum in Colorado Springs. To view our current schedule of job fairs please visit https://clearedjobs.net/job-fair-list.